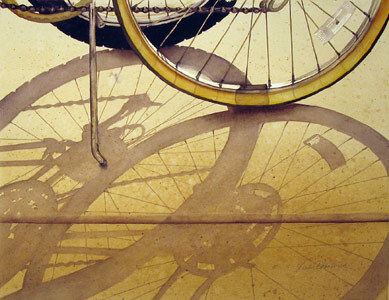 Kudos from Scott Canty: "I was attracted to this painting at first glance by the skill of the artist in producing a delightful rendition of soft shadow and beautiful light. 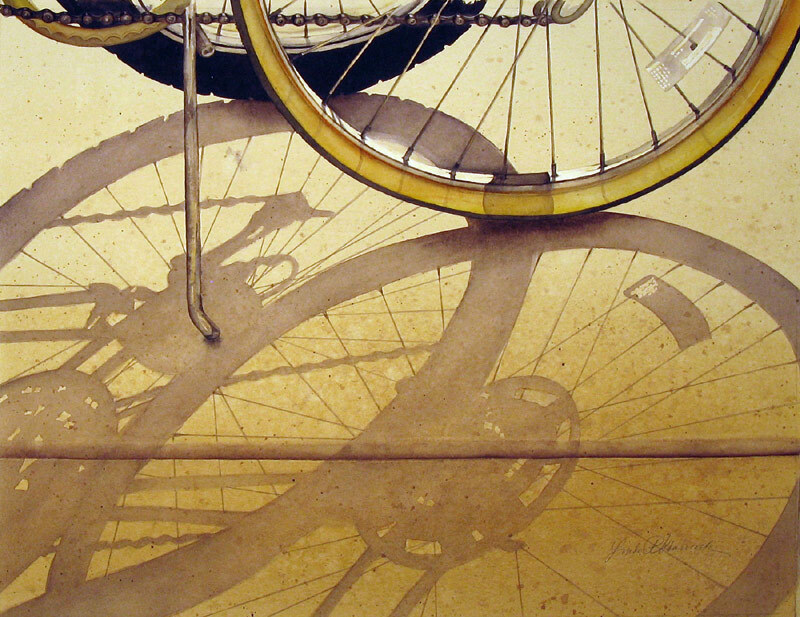 This watercolor portrays a nice balance between the hard edge mechanical bicycle and the soft gray shadow. The image evokes a peaceful summer day." © 2005-2009 Artshow.com. All rights reserved.